The prosecution must prove guilt beyond a reasonable doubt in a criminal case, but in civil cases the burden is lighter. In the Freddie Gray case, the city of Baltimore settled the civil suit with a $6.4 million dollar payment to the family, in advance of the criminal trial, which is unusual. However as one legal expert explained on CNN, jurors will still be aware that the bar is set lower in the civil case. Similarly, in the Laquan McDonald case, the Chicago City council approved a $5 settlement while the case was still being investigated (“City Council approves $5 million settlement stemming from fatal police shooting,” Chicago Sun Times, 4/15/15). In the Eric Garner case, in which there were equal amounts of racial overtones that caused outrage against the police, the city settled with the Garner family for $5.9 million, while the policeman who administered the choke hold that killed Garner wasn’t even indicted. The Ferguson case, involving the death of Michael Brown, failed to result in a criminal indictment, though his parents have filed a civil suit. One of the most famous cases of civil verdicts being awarded when a defendant was acquitted of criminal charges was, of course, the $25 million that O.J. 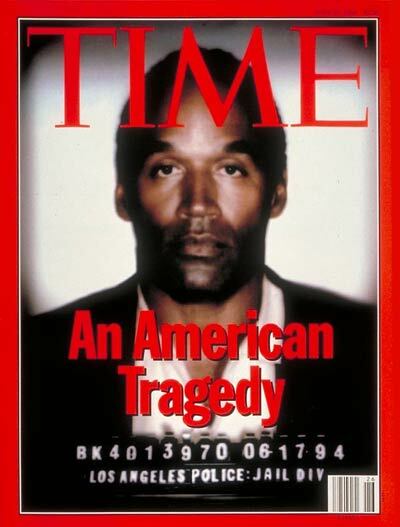 Simpson was ordered to pay to the families of his deceased wife Nicole Brown Simpson and Ronald L. Goldman. More recently The Times reported that the relatives of Robert Durst’s wife Kathleen McCormack Durst are suing him for $100 million under something called the "right to sepulcher," what The Times story describes as “a rarely used New York law granting family members the immediate right to possession of a body for burial” (“Family of Robert Durst’s First Wife Sues Him for $100 Million in Her Disappearance,"11/30/15). God may work in mysterious ways his wonders to perform, but so does the law. The paying of a civil penalty where a guilty verdict has not been reached, as in the Simpson case, is a kind of equivocation that flies in the face of finality. What’s a civil penalty really saying? The law recognizes that damage has occurred under suspicious circumstances and though it sometimes can offer no remedy to the aggrieved in the form of a criminal conviction, it does offer some solace to the aggrieved in the form of a punishment and a threat to future wrongdoers. Punitive damages are what this is called. The City of New York can plainly pay, but O.J. Simpson didn’t have the $33.5 million deriving from both the civil suit and a separate $8.5 million owed the Goldman family for “compensatory damages” (“20 years later winning OJ civil suit was never a ‘pot of gold,'"CNBC, 6/11/14). The lawyers for these civil cases that lie in the shadows of failed convictions are a little like ambulance chasers. And one wonders about a whole new generation of bottom feeders whose careers it will be to profit from murder and mayhem.